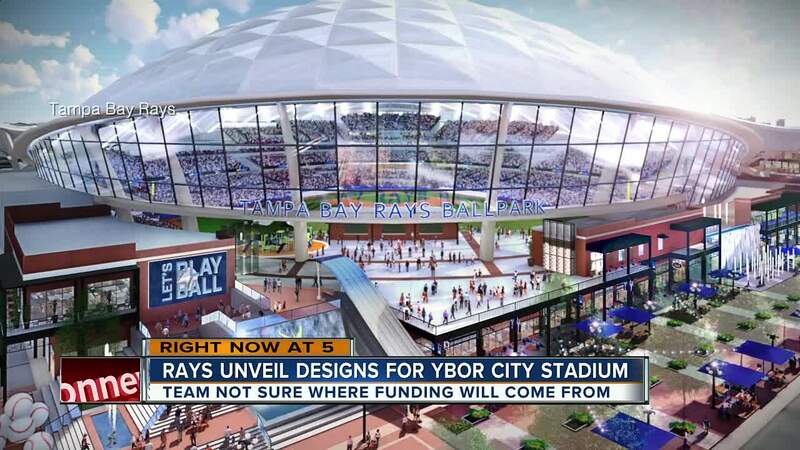 TAMPA, Fla. — The Tampa Bay Rays unveiled design plans on Tuesday for a new stadium they hope to build in Ybor City. 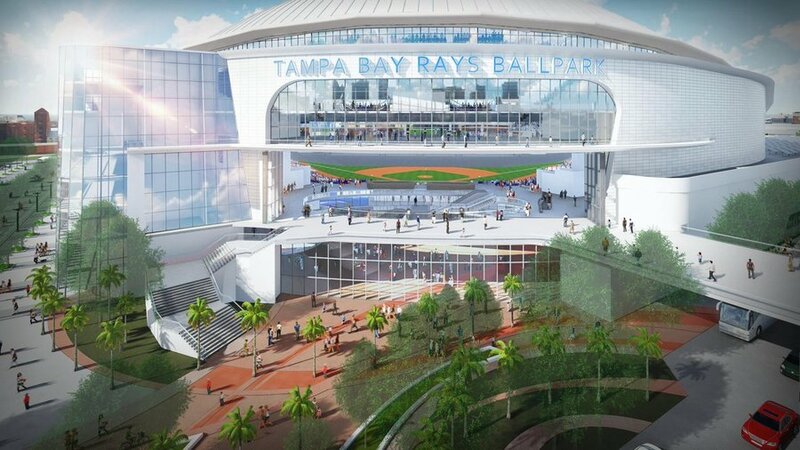 During an announcement on Tuesday, the Tampa Bay Rays and architectural firm Populous showed off renderings for a next-generation ballpark. The concepts include a translucent roof, not a retractable one. 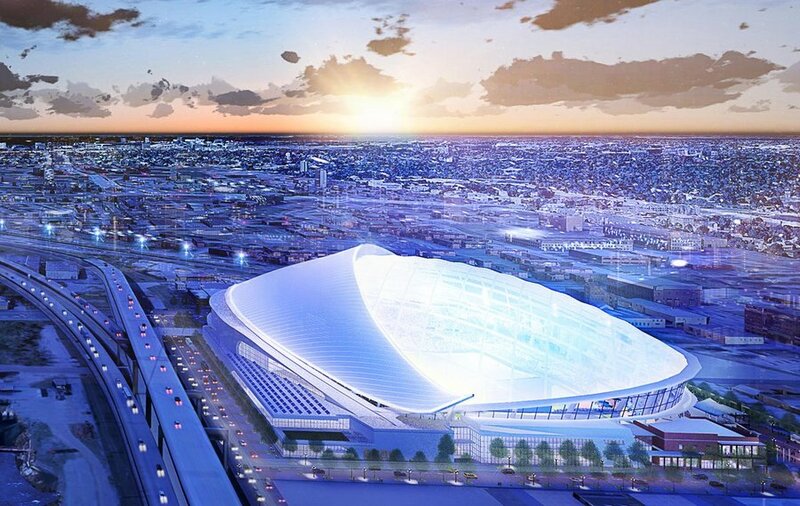 In addition, the stadium would have sliding glass exterior walls to "bring the outside in." The total seating capacity would be 30,842 — the smallest in Major League Baseball. It includes 17 unique seating areas with swivel seats, picnic suites, a sand berm, a touch tank and family table seating. Plus, there will be room for about 2,600 to stand. 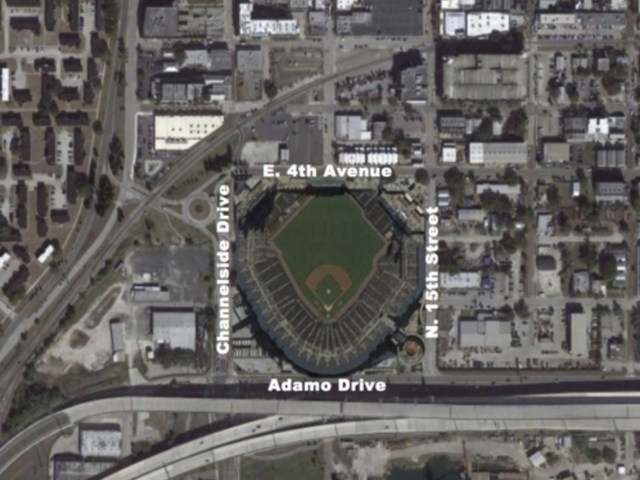 In total, the new ballpark could offer fans 21 distinct viewing platforms. The projected cost for the project is $892,429,823. 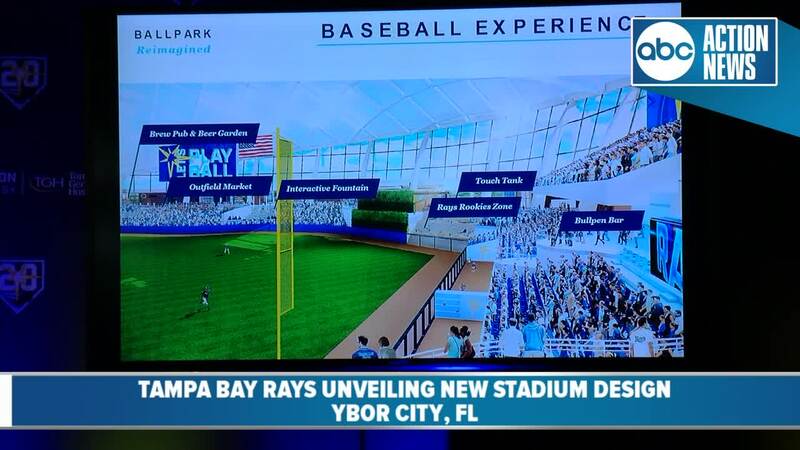 Much like Tropicana Field, the ballpark will be climate controlled and include artificial turf. 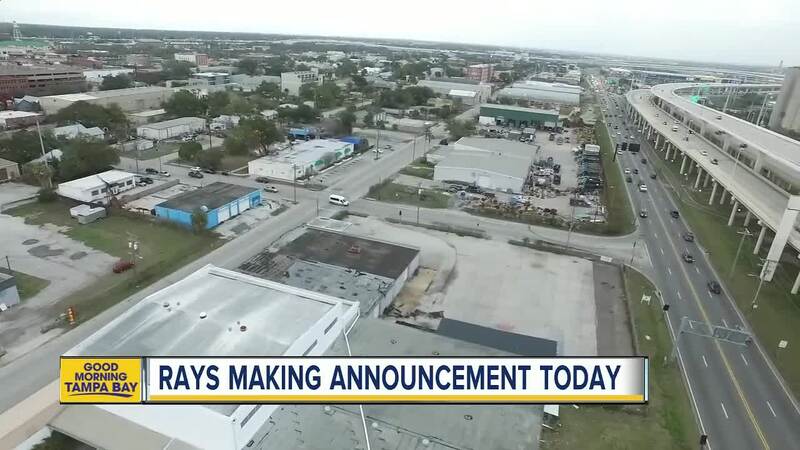 The site the Rays chose is a 14-acre south-west portion of Ybor, south of East Fourth Street and just north of Adamo Drive. “I speak for the whole Rays organization and the 20 years we’ve had here today that we expect to be here for generations to come. 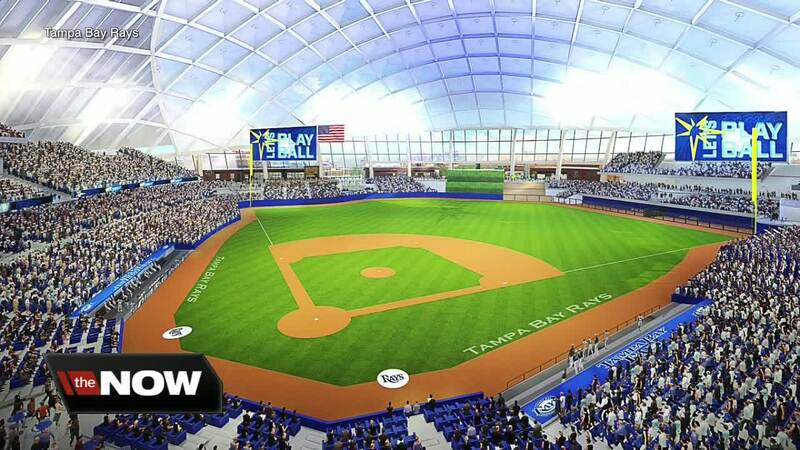 We believe that baseball can not only survive but thrive in Tampa, in Tampa Bay and the Tampa Bay region,” said Stuart Sternberg, Rays owner. 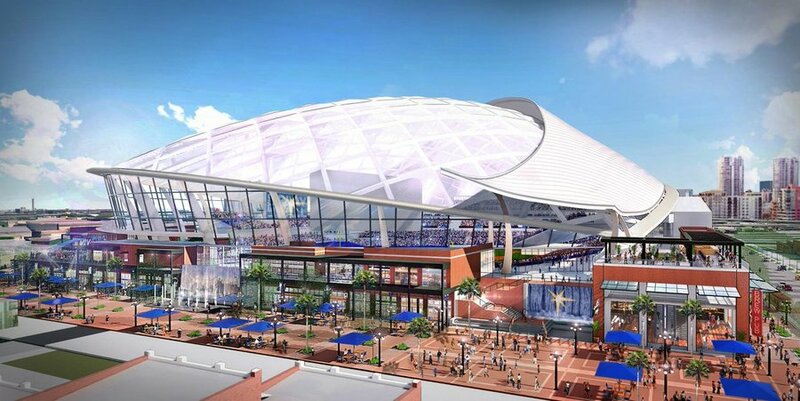 Designers said not only could it serve as a ballpark, but serve the community all year long with the potential for programming, events and creative partnerships. The proposed site is an area where businesses will soon be getting a federal tax break, which could help defray costs. 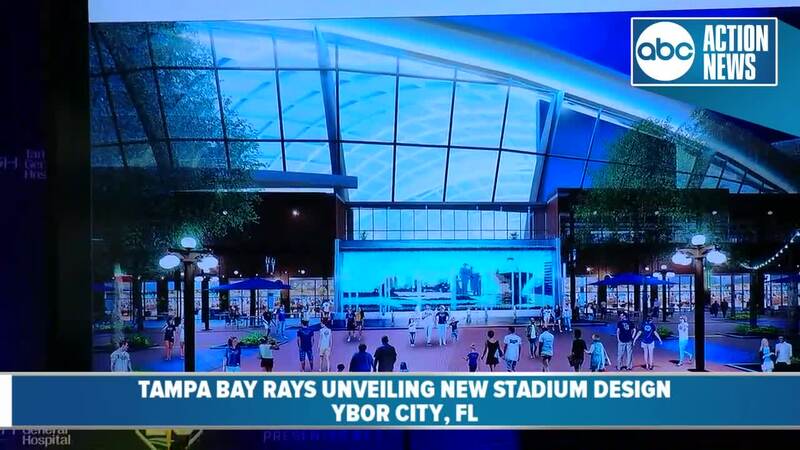 The Rays will also be counting on corporate support.